The National Recording Preservation Foundation (NRPF) announces a major contribution of $200,000 from musician and NRPF Board member Jack White . Each Board member demonstrates valuable ways to contribute, from lending time, talents, advice and expertise to sharing contacts and helping reach the people best placed to further the Foundation’s objectives. At this key moment, Jack White has provided the means to get the Foundation up and running. What is the National Recording Preservation Foundation? But the scope is broader still. “The mission goes beyond music to include radio, broadcast, speeches, poets, spoken word, oral histories, field recordings — the very soundtrack of the nation,” says Board member and radio producer Davia Nelson. “The Foundation seeks to discover and preserve lost audio treasures as well as the most iconic of recordings that deserve another listen and share them with the public, to educate, entertain and delight,” she adds, something she knows much about due to her ground-breaking work as one half of NPR’s Kitchen Sisters. By law and inclination, the Foundation intends to go beyond the archives, collections and libraries and into the lives of the population by making these treasures accessible to all. Education, research, preservation, pleasure, that is the mission at hand. It is a process made easier than ever before due to online tools and ubiquity. The National Recording Preservation Foundation is the independent, nonprofit charitable corporation established by the U.S. Congress for the purpose of supporting archives, libraries, cultural institutions and others committed to preserving America’s radio, music and recorded sound heritage. Where appropriate, it will also assist privately-held collections and commercial archives that may have been damaged through the ravages of time or random acts of nature when those holding them cannot do so with their own resources. And, finally, it will help to further database and digitize our vast and often hidden treasures — delivering them to the nation at large. The NRPF is a private/public partnership, that works closely with the Library of Congress and its experts, and is dedicated to putting into practice the priorities and procedures of the National Recording Preservation Act of 2000 and the National Recording Preservation Plan . But it maintains an independence that lends it great flexibility in fund raising and the setting of priorities and practices. These are largely determined according to the broadest concerns of the preservation community at large and the guidelines of the Foundation’s advisors and Board of Directors. It is therefore uniquely positioned to raise the necessary funds, marshal the expertise of skilled professionals, and reach out to the recorded sound community, collectors and archives to build support for preserving our nation’s audio treasures. Jack White first came to prominence as a member of the White Stripes, a group that was active from 1997 to 2011. 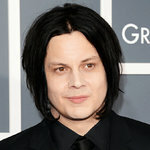 He has been awarded nine Grammys in seven different categories, most for his work under his own name and that of the White Stripes but several with other groups with which he has been associated. Mr. White runs his own label, Third Man Records, which highlights a special interest in vinyl issues and releases. To date the 200-plus releases have covered Jerry Lee Lewis, the Smoke Fairies, Wanda Jackson, Black Milk and Stephen Colbert, Blind Willie McTell, Charlie Patton, The Mississippi Sheiks and many others, demonstrating an eclecticism inspired by broad musical interests. Third Man Records also released Mr. White’s 2012 chart-topping debut solo album Blunderbuss. The NRPF was one of three components established by an act of Congress in the National Recording Preservation Act of 2000. The Act aims to form a comprehensive national program to ensure the survival, conservation, and increased public availability of America’s sound recording heritage. The other two components are the National Recording Registry and the National Recording Preservation Board, whose objective is to advise on the selection criteria for the Recording Registry and to review and recommend nominations for the Registry. This entry was posted in Press Releases and tagged donation on July 29, 2013 by wjlevay.